So, you’ve heard about the different types of RCD’s but you have no idea what is going on inside your safety switch? 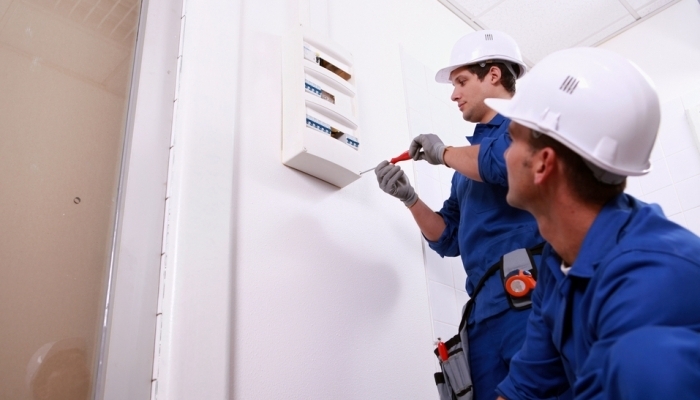 Not to worry, in our latest blog we have the RCD types explained. The key to safety in your building is understanding. Make sure you know what type of residual current device you have and invest in regular testing to make sure it is working correctly. You can do that by contacting our RCD tester team today on 131 546. When an earth leakage is detected, this type of safety switch breaks the circuit and stops the flow of power. RCCB’s do not respond to short-circuits or over-currents. You will need a miniature circuit breaker to work in conjunction with your RCCB to respond to these issues and provide maximum protection for your circuit. Also known as the RCBO. This device provides protection against earth leakage, short circuits, and circuit overloads. Of the RCD types explained so far, this device provides the most protection. It will help to minimise harm to people as well as damage to the circuitry in your space. ELCB’s are designed specifically to work with electrical installations that have high death impedance, They are used to prevent the likelihood of electrical shock. The answer is in the name for this one – this type of RCD usually comprises of a plug that is connected to a RCD box with one or more socket outlets. This is different to a SRCD (which stands for a Socket-Outlet RCD) which is a plug with a built in RCD that you can put in the outlet that you want to connect your equipment to. Each type of RCD that we listed earlier will fall under one of these categories. If you’re a bit confused by the wave form classification and you aren’t sure which RCD you should be using, just get in touch with our team and we can make sure you have the right circuit protection in place. Now that you’ve had the RCD types explained, make sure your device is correctly maintained. At Jim’s Test & Tag, we test and inspect residual current devices according to the current Australian standards. We can inspect all types of RCDs and let you know whether you have the right equipment in place for your unique needs. Whether you’re working in an office or using portable equipment on a construction site, our team can help you. After we’re finished we’ll give you an inspection report with all the information you need about your RCD. Call us now on 131 546 for a free quote. Did you find our article helpful? Make sure you share it around via social media. We’re passionate about spreading safety and awareness throughout our local communities.